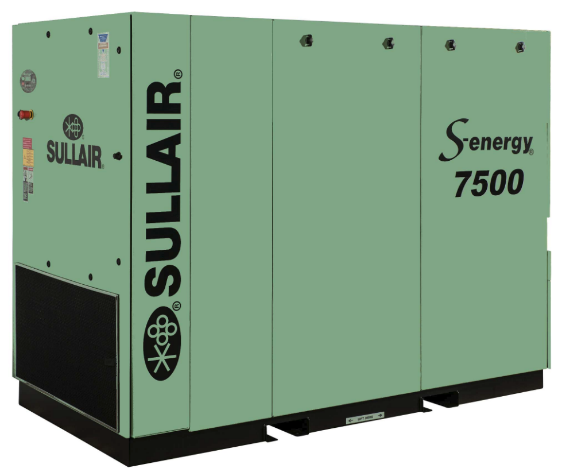 Sullair introduced the first rotary screw air compressor back in 1965. 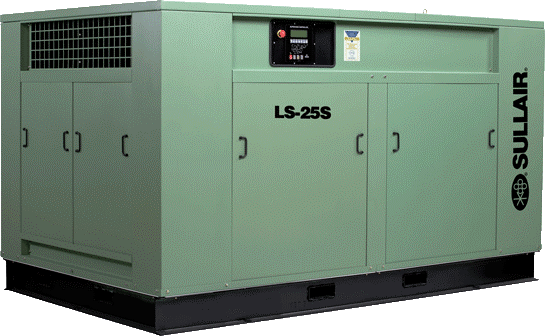 Since then, the manufacturer has been at the forefront of rotary screw air compressor technology. 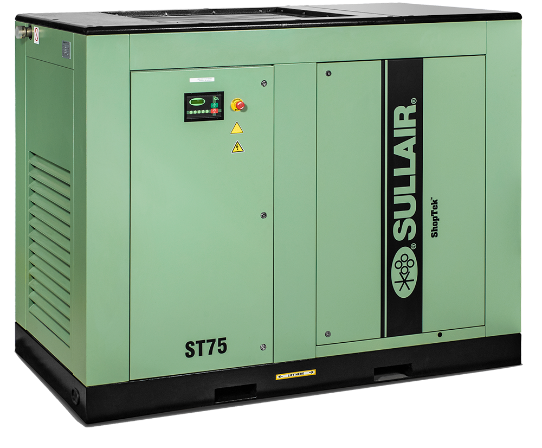 Sullair manufactured the first two-stage rotary screw air compressor and designed the original variable capacity air end controls to provide part-load energy efficiency. 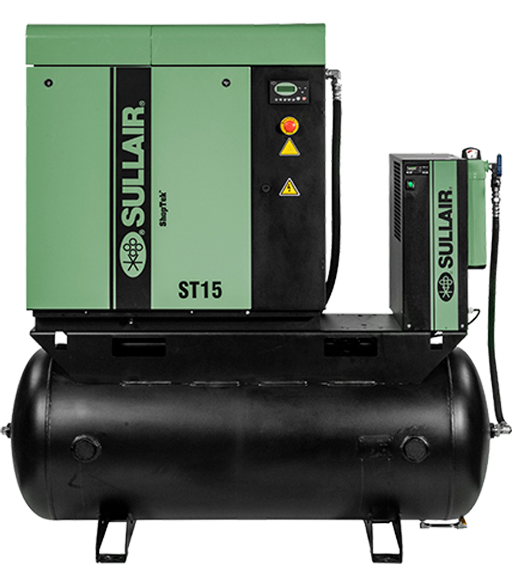 Sullair was also the first compressor manufacturer to offer (as standard) a 5-year air end warranty. Today they offer a 10-year air end warranty. Blake & Pendleton has represented Sullair in the southeast for over 40 years, and our team can support all aspects of the product line. 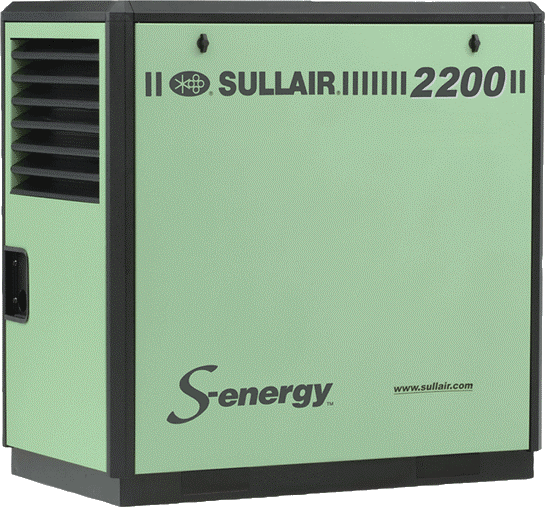 Our sales engineers ensure the Sullair products are appropriately sized and applied correctly to meet our clients’ compressed air needs. Our field service team supports these products by performing factory-recommended routine maintenance at the correct service intervals. All of this helps provide our customers with a pleasurable experience and allows the equipment to perform reliably for a long time. 5 – 20 HP, 16 – 80.1 cfm, 100 – 175 psig. 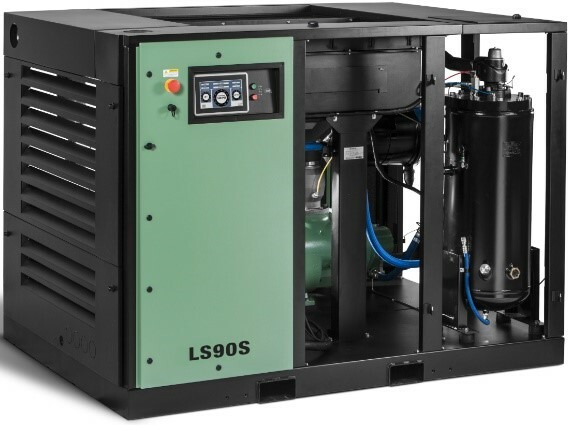 Options Include Single Phase models in 5, 7.5, & 10 HP, Matching air dryers, Filters, Receiver Tanks. 25 – 100 HP, 103 – 443 cfm, 100 – 125 psig. 15 – 25 HP 43.7 – 68.5 cfm, 100 – 175 psig. 15 – 40 HP, 81 – 176 cfm, 100 – 175 psig. 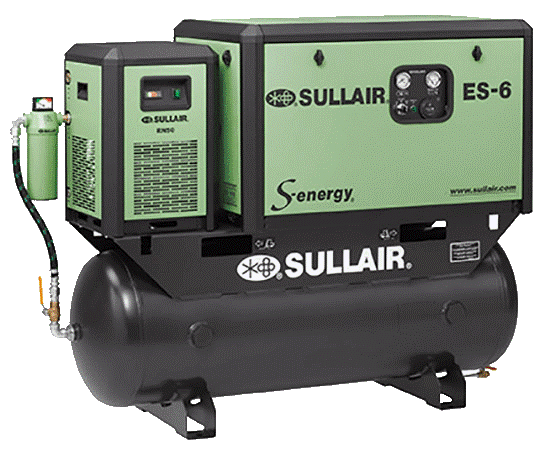 40 – 100 HP, 163 – 500 cfm, 100 – 175 psig. 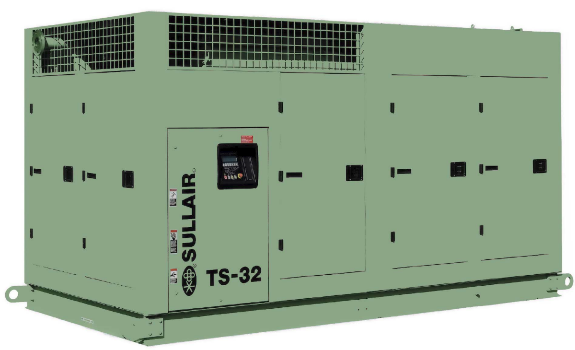 125 – 200 HP, 459 – 1030 cfm, 100 – 200 psig. 100 – 600 HP, 434 – 3000 cfm, 100 – 175 psig.